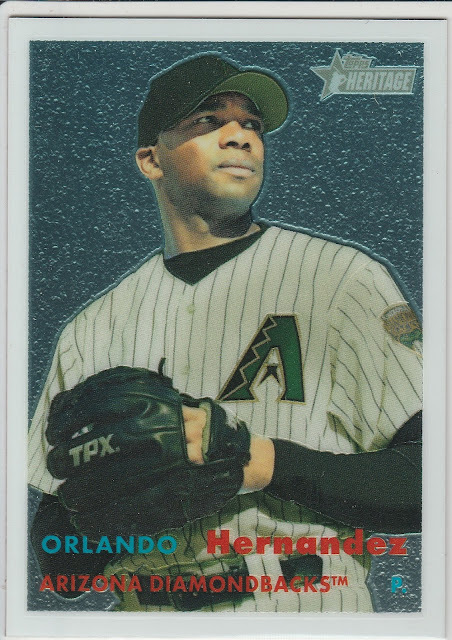 I was really excited to find a sealed box of 2006 Topps Heritage - This was squarely in the era when I was not collecting cards, so I have only seen about 3 or 4 cards from this set in person. The box and the packs all look classy - even the empty packs have a certain heft to them. 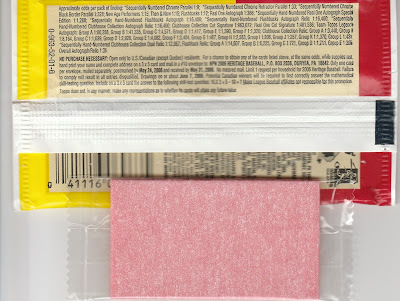 Each pack came with gum, sealed in its own cellophane wrapper to protect the cards. 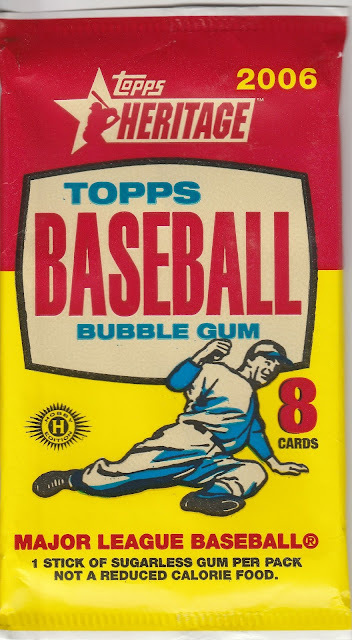 I have resisted the urge to try the gum, I recommend the same for Bob Walk the Plank and The Card Papoy when you get these cards in the mail. Here's the only Twin from the box! The photos have this odd focusing - like a tilt shift effect which is quirky. I think it was an attempt to emulate the older photography from the 1957 set, especially with the washed out colors. Here are the backs, just like their vintage counterpart (with some extra legal-ese along the bottom and in the top right corner. 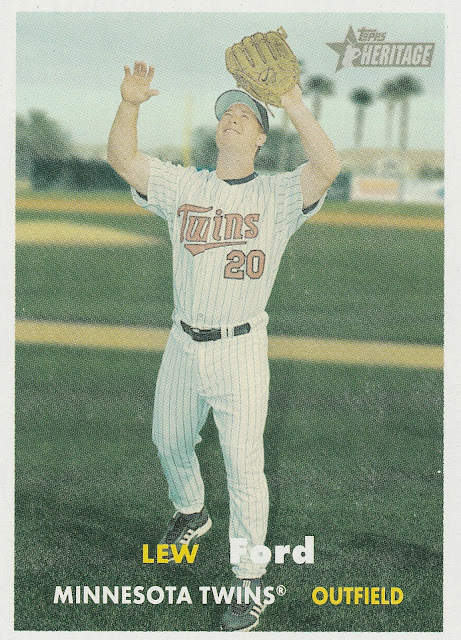 As far as hits go... Well, the base cards are really nice! 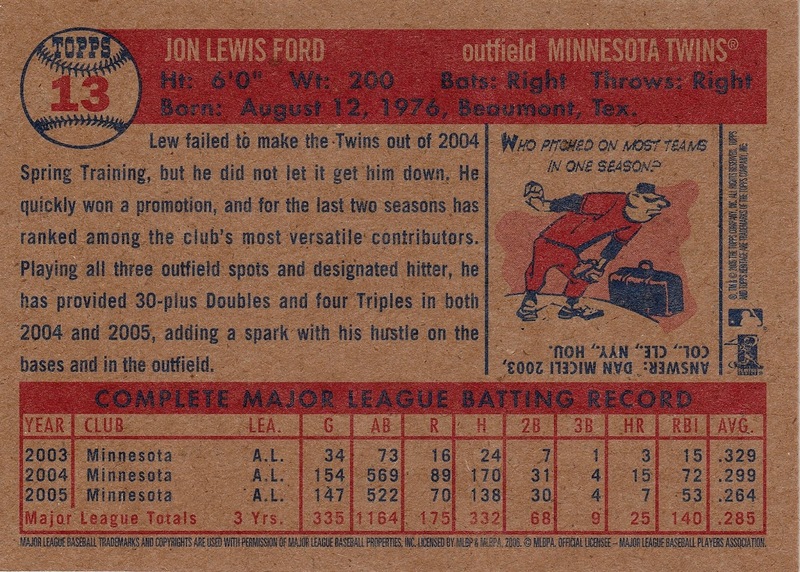 This is a chrome parallel, numbered to /1957. There is also a refractor version of this parallel, and we pulled one of those. But no relics, no autographs. The odds are printed on the individual packs, but not on the box itself. If I had looked it up in advance, I would have known the odds were one relic or auto per 33 packs, which is just a bit more than the 24 packs in each box. So, we didn't get lucky this time, but everything we did pull fell within the stated odds. The inserts all are being sent away to France or West Virginia, so I will let them share those when they arrive. I got to keep the Twin, The NL East, and the NL West. 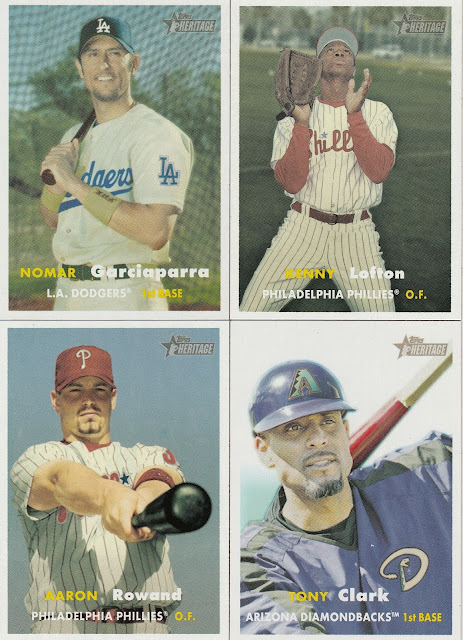 Here are some of my favorite cards from the box! Would Calling Gavvy "Gabby" Make Gavvy Crabby? Hmm, That's Odd . . .